For Gettys servo motor repair, TigerTek is the nationwide leader in great prices, expert workmanship, and lighting-fast turnaround time. Our Gettys servo repair specialists have experience in repairing products from across the Gettys product line of AC servos, steppers, and brushless motors. With decades of production, motors from Gettys are installed across the nation and are in use for a wide variety of applications. Because of the huge variety of potential configurations, sizes and industries, an experienced, dedicated servo repair shop such as TigerTek is the best choice for hundreds of facilities. Our experienced, certified Gettys servo motor repair technicians repair each motor using OEM parts from our extensive inventory. Our in-house electronics lab and machine shop ensure that your Gettys servo is repaired in our facility and never outsourced - this ensures a quality job and the quickest possible turnaround time. 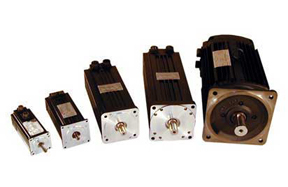 Contact us today & learn how TigerTek can save you time and money with our servo motor repair services.